Air Canada has been expanding their flight map, adding new routes over the past few months. Most recently, Air Canada is celebrating 11 new international routes, including the carrier’s first flight to Africa. Air Canada has been expanding their flight map, adding new routes over the past few months. Most recently, Air Canada is celebrating 11 new international routes, including the carrier’s first flight to Africa. Connector flights to these major Canadian gateways are available. Brisbane: A a big, modern city set on the Brisbane River. Clustered in its South Bank are institutions including Queensland Museum and Sciencentre, with noted interactive exhibitions, and Queensland Gallery of Modern Art. Looming over the city is Mt. Coot-tha, site of sprawling Brisbane Botanic Gardens, with panoramic views from its summit. 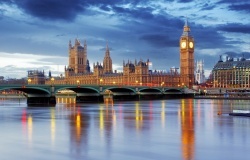 London: A metropolis set on the River Thames. It is a 21st-century city with history stretching back to Roman times. At its centre stand the imposing Houses of Parliament, the iconic ‘Big Ben’ clock tower and Westminster Abbey, site of British monarch coronations. Dublin: All around are medieval buildings including the 13th-century Dublin Castle and imposing St. Patrick’s Cathedral, founded in 1191. Temple Bar is a riverside nightlife and cultural quarter, home to the Irish Film Institute. Bustling, largely pedestrianised Grafton Street is the city’s principal shopping area, also famed for its buskers. 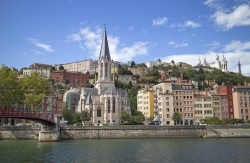 Lyon: Its city center reflects 2,000 years of history, with a Roman amphitheater in Fourvière, medieval and Renaissance architecture in Vieux Lyon, and the modern, redeveloped Confluence district on the Presqu'île peninsula between the rivers. Traboules, covered passageways between buildings, connect Vieux Lyon and La Croix-Rousse hill. 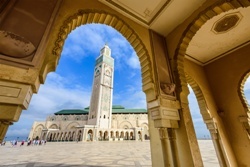 Casablanca: The city's French colonial legacy is seen in its downtown Mauresque architecture, a blend of Moorish style and European art deco. Standing partly over the water, the enormous Hassan II Mosque, built in 1993, has a 210m minaret topped with lasers directed toward Mecca. 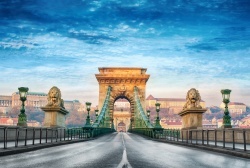 Budapest: The city is bisected by the River Danube, and the 19th-century Chain Bridge connects its hilly Buda district with flat Pest. A funicular runs up Castle Hill to Buda’s Old Town, where the Budapest History Museum traces life from Roman times onwards. Trinity Square is home to 13th-century Matthias Church and the turrets of the Fishermen’s Bastion, which offer sweeping views. Warsaw: Its widely varied architecture reflects the city's long, turbulent history, from Gothic churches and neoclassical palaces to Soviet-era blocks and modern skyscrapers. As Poland’s cultural hub, Warsaw has a thriving nightlife and music scene, both classical and underground. After near-total destruction in WWII, Warsaw’s old town was faithfully restored to its pre-war appearance. Prague: The city is bisected by the Vltava River. 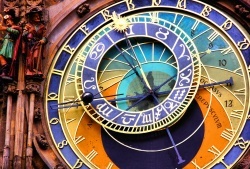 Nicknamed “the City of a Hundred Spires,” it's known for its Old Town Square, the heart of its historic core, with colorful baroque buildings, Gothic churches and the medieval Astronomical Clock, with a popular show. Completed in 1402, pedestrian Charles Bridge is lined with 30 statues of saints. Glasgow: The city is famed for its Victorian and art nouveau architecture, a rich legacy of the city's 18th-20th-century prosperity due to trade and shipbuilding. 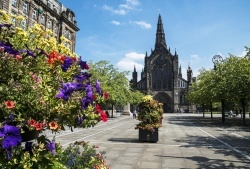 Today it's a national cultural hub, home to institutions including the Scottish Opera, Scottish Ballet and National Theatre of Scotland, acclaimed museums and a thriving music scene. 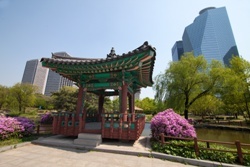 Seoul: Is a sprawling metropolis where hyper-modern skyscrapers, high-tech subways and pop culture meet Buddhist temples, palaces and street markets. Notable attractions include futuristic Dongdaemun Design Plaza, a convention hall with curving architecture and a rooftop park; Gyeongbokgung Palace, which once had more than 7,000 rooms; and Jogyesa Temple, site of centuries-old locust and pine trees. 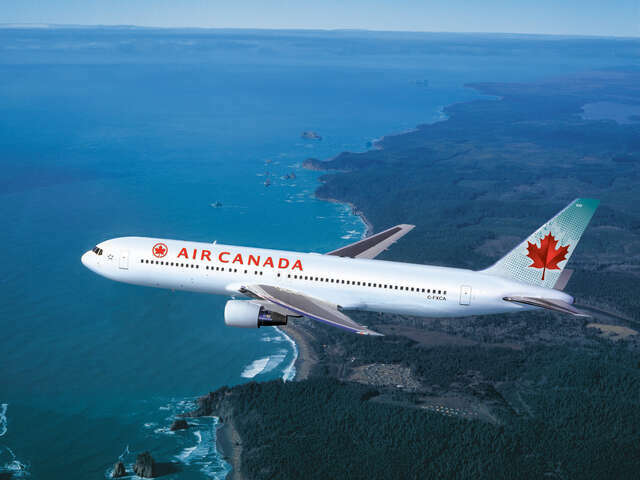 Last week when the airline announced three new Eastern Europe routes from Toronto (included above), a spokesperson also mentioned that these three new flights pair well with new packages from Air Canada Vacations, and with river cruises which are continuing to grow in popularity. Toronto-Prague: service runs May 29 - Sept. 29, 2016 with flight AC1922 and operates three times weekly. Departs Toronto at 4:55 p.m. on Wednesday, Friday and Sunday, arriving in Prague at 7:20 a.m. the next day. Return flight AC1923 departs Prague at 9:30 a.m. and arrives in Toronto at 12:40 p.m. on Monday, Thursday and Saturday. Toronto-Budapest: service runs June 10 - Oct. 15, 2016 with flight AC1910 and operates three times weekly. Departs Toronto at 10:35 p.m. on Monday, Wednesday and Friday, arriving in Budapest 1:35 p.m. the next day. Return flight AC1911 departs Budapest at 3:05 p.m. and arrives in Toronto at 6:45 p.m. on Tuesday, Thursday and Saturday. Toronto-Warsaw: service runs June 16 - Sept. 30, 2016 with flight AC1926 and operates three times weekly. Departs Toronto at 6:30 p.m. on Tuesday, Thursday and Sunday, arriving in Warsaw at 9:30 a.m. the next day. Return flight AC1927 departs Warsaw at 11 a.m. and arrives Toronto 2:50 p.m. on Monday, Wednesday and Friday. Air Canada had also made announcements about 12 new US cities routes starting this May 2016.